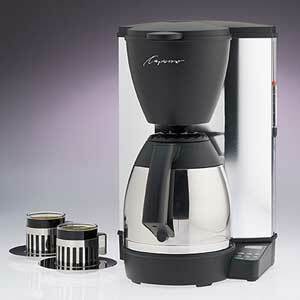 The Capresso MT500 is the best quality thermal coffee maker you can buy. A one-piece extruded aluminum body with a plastic-lined water reservoir gives the MT500 superior stability. The easy-to-clean polished surface is specially treated to maintain its luster.